Streets make up more than 80 percent of public space in cities, but they often fail to provide the surrounding community with a space where people can safely walk, bicycle, drive, take transit, and socialize. The Urban Street Design Guide covers the principles and practices of the nation’s foremost engineers, planners, and designers working in cities today. And it shares their approaches to making streets safer, more livable, and more economically vibrant. The guide outlines both a clear vision for complete streets and a basic road map for how to get there. Streets as public spaces. Streets play a much larger role in the public life of cities and communities than just thoroughfares for traffic. Streets as tools for economic development. Well-designed streets generate higher revenues for businesses and higher values for homeowners. Streets as ecosystems. Well-designed streets can enhance the long-term sustainability of the city. Enhancing safety. Streets must provide a safe space for walking, parking, shopping, bicycling, working, and driving. Enhancing flexibility. Streets must be responsive to current needs. Street space may also be reused for different purposes, such as parklets, bike share, and traffic calming. Reducing time to implement. Projects may be implemented quickly and inexpensively using temporary materials to help inform public decision-making. Urban Street Design Guide is an exceptional resource for redesigning streets to serve the needs of 21st century cities, whose residents and visitors demand a variety of transportation options, safer streets, and vibrant community life. Urban Street Design Guide was prepared by a team of researchers at the National Association of City Transportation Officials with input from directors of planning, public works, transportation, and urban design from across North America. 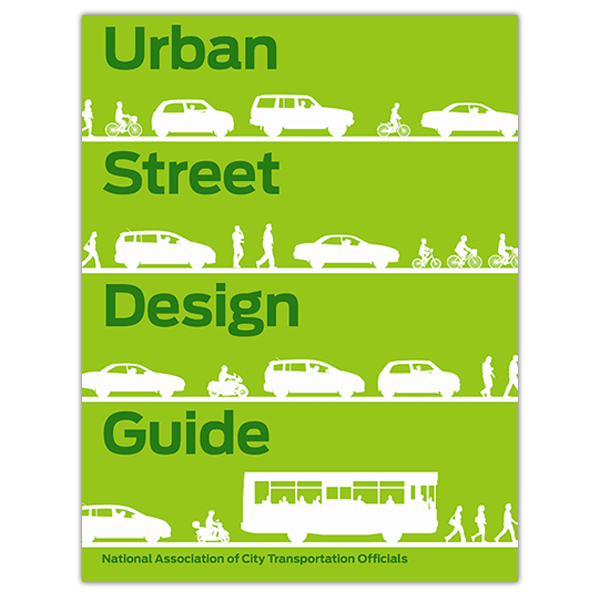 Urban Street Design Guide is guaranteed. If you are not 100% satisfied, you may return it within 30 days for a full refund.